Click on the name to see. Halloween Grinch has spoken. What about this Grinch in November? After eye surgery I can barely see and decided not to give out treats this year, so I don't fall over myself trying to fill blurred hands and bags in a darkened doorway. I'm also listening to audio books, though I sneak every now and then, in between multiple eye drops, a quick read of more pages of a novel set in the French mountains, The Tapestry of Love by Rosy Thornton. I'm also fascinated by The Secret Life of Bees by Sue Monk Kidd, and am on chapter 3. The audio book is read by a young girl who is superb in getting the nuances of the novel down. Can't wait to listen to that long, long novel, The Angel's Game by Car los Ruiz Zafon. I doubt I'd read the whole thing, but I'll certainly listen to it. I find that if a book seems slow, I prefer to listen to the audio version. There are several books like that - and I really hope that Midnight's Children: A Novel by Salman Rushdie is on audio. I can think of many more books I'd like to listen to. What did you read/do last week? Eye surgery - must limit my reading and light in the eyes! So I have gravitated to audio books for now but find I like them so much, I might just continue listening to them. by Sue Monk Kidd , Traveling with Pomegranates, a mother-daughter memoir. Death of a Dreamer (Hamish Macbeth Mysteries, No. 22) by M.C. Beaton, a mystery set in the Scottish highlands. The Secret Life of Bees by Sue Monk Kidd, a novel set in the South. The Angel's Game by Carlos Ruiz Zafon , a fantasy, magical realism set in Spain. Finger Lickin' Fifteen (Stephanie Plum) by Janet Evanovich, a mystery series set in New Jersey. Marjane Satrapi's Persepolis: The Story of a Childhood , a graphic novel, a memoir of growing up in Iran, also made into an animated film with Catherine Deneuve's voice, among others. Also, Satrapi's Embroideries, individual stories by family members, in a book which readers think is too short. Traveling with Pomegranates: A Mother and Daughter Journey to the Sacred Places of Greece, Turkey, and France , by Sue Monk Kidd and Anne Kidd Taylor, the audio version, read by the authors. That mother-daughter travel memoir made me want to read The Secret Life of Bees , on audio, of course! I prefer to read thrillers and mysteries but to listen to introspective books. Then I'll also have to see this film. Broken hearted after a failed love affair in California, Holly Maguire is glad to find that her grandmother Camilla has left her a pastry shop and kitchen thousands of miles away in Maine. Holly leaves California, finds friendship in Maine but also competition in work and in love. Her grandmother, whom she called Nonna, was known as the Love Goddess of Blue Crab Island and was famous for her Italian cooking, her cooking classes, and her fortune telling. Nonna had told Holly that the right man for her would love eating sa cordula, a traditional but unusual Milanese dish. Many people found the dish unappetizing, but the right man would love it! Holly has to learn to cook and give cooking lessons at her shop, Camilla's Cucinotta, just as her grandmother used to do. When Holly discovers Nonna's private diary, she realizes her struggles to become a successful cook mirrors what her grandmother went through years before. 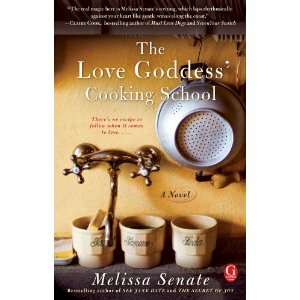 Comments: A light but pleasant read about women, food, friendship and love. Add Italian and Milanese customs, adjusting to a new environment, and a good story. Recipes and a reader's guide are nice extras at the end of the book. Book provided for a virtual blog tour by Gallery Publicity of Simon & Schuster, Oct. 28. Goodreads description of Burmese Lessons: A true love story by Karen Connelly, May 18, 2010: :"Burmese Lessons is a love story. Unlike conventional love stories, this one takes the reader into a world as dangerous and heartbreaking as it is enchanting. When Karen Connelly finds herself in Burma in the late 1990s, she is immersed in a world of students staging mass demonstrations in opposition to Burma’s dictators, revolutionaries fighting an armed insurgency against that same military regime, and refugees living in hellish limbo in Thailand. Connelly first comes to love a wounded, remarkably beautiful country, then a gifted man who has given his life to its struggle for political change. Burmese Lessons is illuminated by the sensual language and flashes of humour that have won her fans around the world." Publisher: Nan A. Talese, 2010. Click on the Sunday Salon logo to join in! I'm reading several books at once, nothing unusual for all of us, I'm sure! 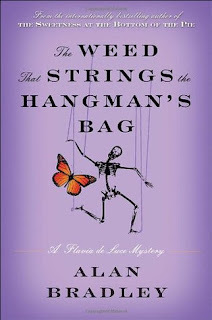 Reviewed The Weed that Strings the Hangman's Bag, the second book with 11-year-old genius sleuth, Flavia de Luce. Loved it. Have started reading a novel that just arrived from the author, Rosy Thornton of Cambridge, England. A history professor, Rosy has turned her hand to writing novels as well. Her latest, The Tapestry of Love will be released Dec. 14 in paperback. It's set in the rustic mountains of France, where a retired Englishwoman has bought a farm and house in order to make and sell tapestries and drapes. The cover suggests that life in the French countryside may be a bit more challenging than it would seem. I suspect this is also a love story, from the title. Armchair traveler that I am, I'm enjoying the book so far. I've borrowed a few audiobooks from the library, an M.C. Beaton among them, Death of a Dreamer (Hamish Macbeth Mysteries, No. 22) , set in the Scottish highlands. Inspector Hamish Macbeth is such a colorful and eccentric character, both in how he solves crimes and in his up and down love life! A confirmed bachelor, he is always just escaping the traps laid for him by would-be brides. 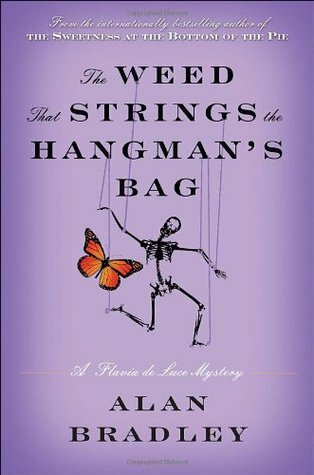 The Weed That Strings the Hangman's Bag (Flavia De Luce Mystery) by Alan Bradley is the follow up to the successful The Sweetness at the Bottom of the Pie , and is just as good. In fact, it's better. 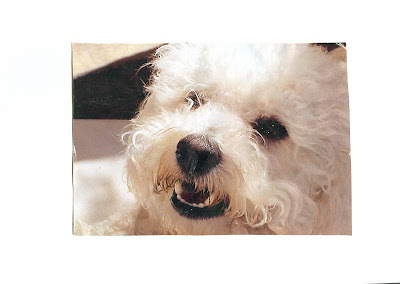 About the book: Flavia once again gets involved in solving a murder. Because she is only 11-years-old, she can often go snooping around and asking questions without arousing any alarm or distrust. Besides, she always has good excuses for being in places she shouldn't be. Her escapades and getting out of them are part of the amusement of the book. Her ongoing competition with her older sisters should get a sympathetic nod from younger sisters everywhere. Rating: Glad I found the book at our local library. I gave this a 5! Author: Bradley, who lives in Malta, is now writing the third in the series, A Red Herring Without Mustard. It will be out on Feb. 8. Can't wait! On hearth and in mind. To Surrender To A Rogue (Circle of Sin Trilogy) by Cara Elliott, June 2010. About the book: Lady Alessandra della Giamatti is in Bath, England to look at antiquities, but must deal with a blackmailer who wants to reveal her past. The only one who can help her out of this situation is a rogue named Black Jack.